Anytime I’m able to use books my children love to read as part of our homeschool, I’m thrilled! 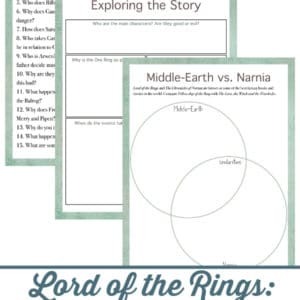 The Lord of the Rings trilogy provides countless opportunities for discussion, which is essential to every child’s education. J.R.R. Tolkien’s trilogy, The Lord of the Rings, is filled with adventure, suspense and magic! They are a perfect fit for those with vivid imaginations and of course, fantasy fans. 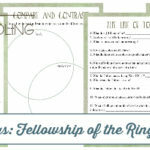 Fellowship of the Ring welcomes you back to Middle Earth sixty years after the adventures of Bilbo and the dwarfs of Erebor in the Hobbit. This movie is packed with action, adventure, trial and old friends. Fellowship of the Ring is sure to touch your heart as well as spark imagination in your mind as Frodo, Bilbo’s Nephew, journeys with Gandalf and Sam to destroy the One Ring. However, trial soon hits as more friends join Frodo. Whether you are looking for a little adventure or heart touching moments this movie won’t disappoint! 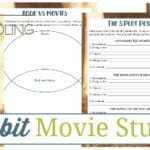 You can easily make this Fellowship of the Ring Movie Study part of your middle and high schoolers homeschooling! 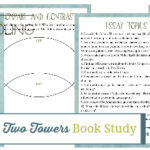 It includes includes discussion questions, character study, compare and contrasting and more! 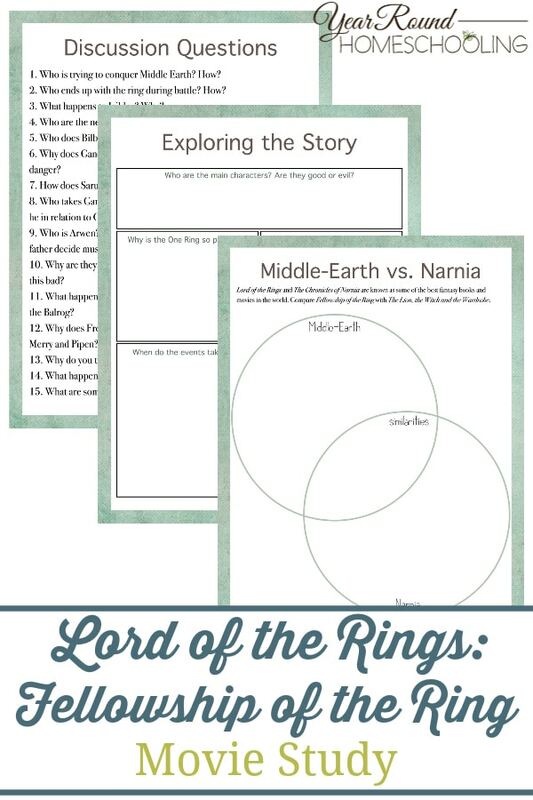 Before your kids complete this Fellowship of the Ring Movie Study, I encourage you to have them read and complete the The Hobbit Book Study and the Fellowship of the Ring Book Study first.